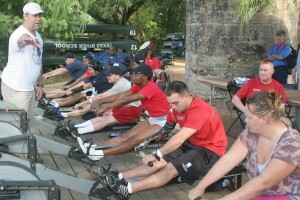 Adaptive Rowing programmes were initiated in 1975, in a number of countries, including Australia, Germany, Great Britain, the Netherlands and USA. This article by Parasport in the UK talks about Adaptive Rowing, and its origins to the Paralympic games. Texas Rowing Center Adaptive programming supports adaptive rowing in a large way by holding adaptive rowing coached sessions every Saturday and Monday morning. Copyright © 2019 Texas Rowing For All.